Clear ABS, like usual ABS, but transparent. No yellow discoloration like PLA, bendable and resistant. 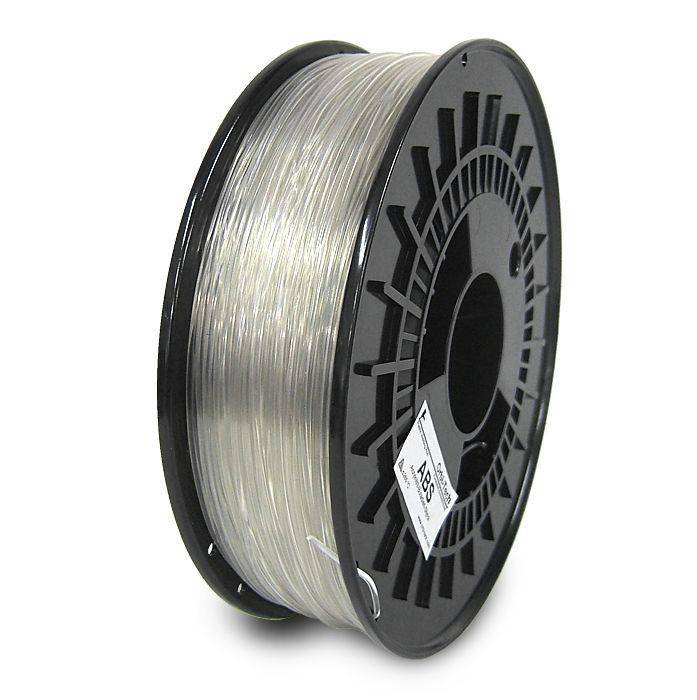 Due to its high temperature resistance, ABS is suitable for applications where PLA already gets soft. Clear transparent filament out of ABS. Heated bed required with a temperature of about 80-110 °C. ABS is resistant to oil and grease, alkalis and fuel. ABS dissolves in acetone but not in Limonen. If foam comes out of the nozzle, the material has to be dried at ~ 75 °C for two hours. Print in a ventilated area to facilitate the exchange of air.